Introducing Shimano's new rain-proof hard wearing jacket - this garment is ideal to pack away in the tackle bag for when those unexpected showers arrive and you need to keep the rain off. 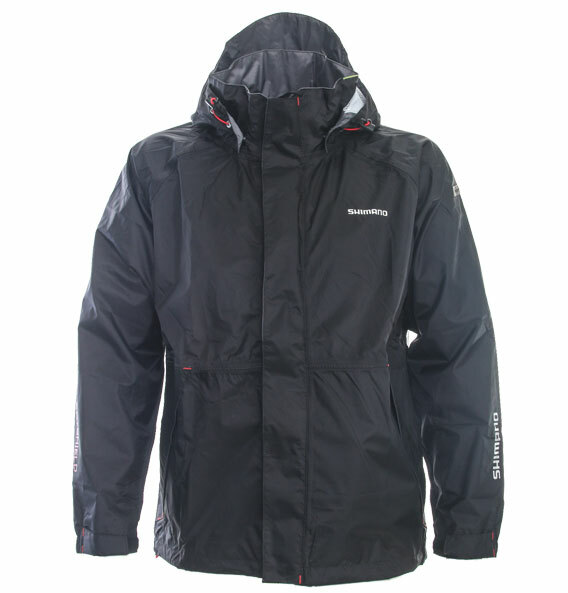 Constructed from water-proof material and features hard wearing components. Available in black with red highlight snad features the Shimano logo. Waterproof performance (20000): Waterproof performance to prevent the entry of moisture such as rain and wave splashes. Breathable (12000): It keeps the comfortable clothing environment without stuffiness.